It's 18:02 in Los Angeles, USA right now. 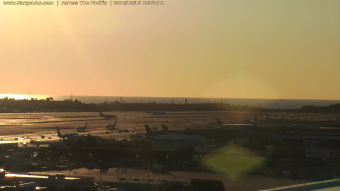 LAX Webcam A current view of the Los Angeles Airport. El Monte, California: Maxson Elementary School, 12.5 miles away.